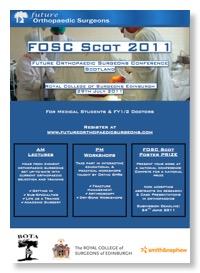 FOSC Scotland is a joint FOS/BOTA orthopaedic conference aimed solely at medical students and junior doctors interested in pursuing a career in trauma and orthopaedic surgery. FOS are pleased to again be teaming up with BOTA and RCSEd to provide delegates with accurate and up-to-date information on orthopaedic training and applications in Scotland. 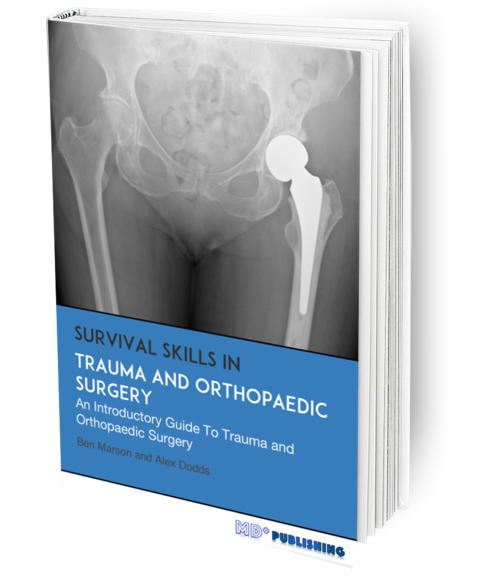 The morning will consist of lectures from eminent orthopaedic surgeons covering all orthopaedic sub-specialties and giving delegates an insiders view of what life is like as an orthopaedic surgeon in Scotland.